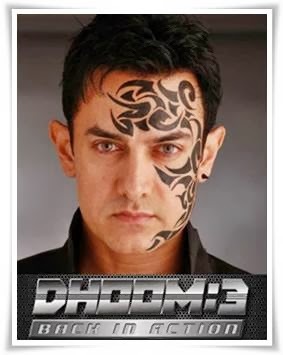 Taran Adarsh from Bollywood Hungama Says 'Dhoom 3' delivers more than what it promises. The latest installment ups the ante as mean machines blaze across the screen in a dazzling display of stunt choreography. But it's not all metallic or mechanical mayhem... this one has heart and soul too -- an invigorating and intense drama with heart rending emotions! Saibal Chaterjee from NDTV wrote that Dhoom: 3 is a high-voltage action flick that relies squarely on known methods of the genre. Despite being overlong (the runtime is 172 minutes) and a tad laden-footed at times, Dhoom: 3 stays true enough to its avowed intent to be passably engaging. Dhoom: 3 is fun while it lasts, but it might not leave the viewer with the sense of having watched a film that is truly unique. Bollywood Critic Raja Sen gave only 1.5 star to movie saying "There was Aamir Khan running down the side of a building for no apparent reason. Everything -- repeat, everything -- looked too goofy to be either thrilling or realistic or compelling or even plain fun. Dhoom 3 is a children’s film made for children who’ve never seen a film. How else can you explain this famine of originality? How else can you possibly justify the lack of a single interesting scene right up to the intermission? And how, after that, can you account for Aamir Khan’s blatant exploitation of yet another Christopher Nolan masterpiece"